CHINA BREW CHINA BEVERAGE (CBB) draws on the success of 2016: Just under three weeks before the beginning of the exhibition, the halls of the Shanghai New International Exhibition Centre (SNIEC) are almost fully booked. More than 860 exhibitors have already registered. 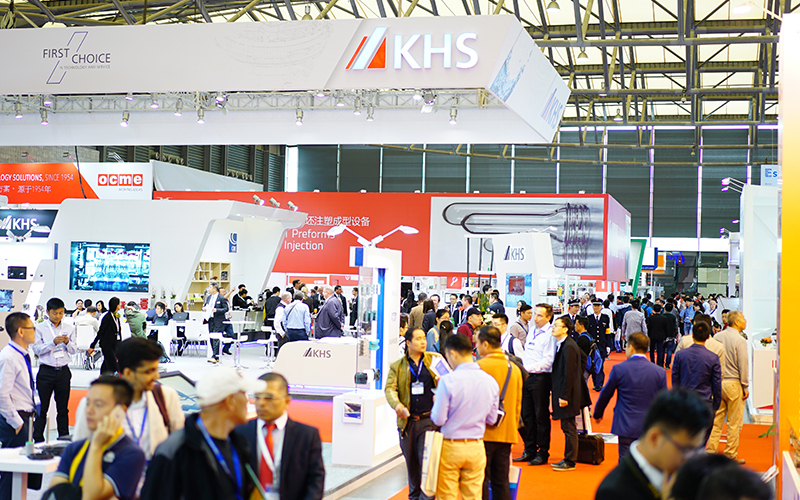 Among them are national and international industry leaders such as Alfa Laval, GEA, Husky, KHS, Krones, SACMI, Sidel and Siemens located in the international exhibition halls. And GDXL, HGM, Lehui, Newamstar, Tech-Long and Zhongya in the national exhibition halls. Prof. William Chen, Director of the Food Science and Technology Programme at Nanyang Technological University Singapore is going to deal with sustainability. The title of his presentation is: “Fermentation for Upcycling of Brewer’s Spent Grains: Potential for Zero Waste Food Processing and Circular Economy.” Further presentations on digitization and sustainability will be given by Richard Clemens, Managing Director of the VDMA Food Processing and Packaging Machinery Association, and Winston Boyd, Technical Director at Gold Coast Ingredients Inc.
For further information about the exhibition, please visit www.cbb.drinktec.com.